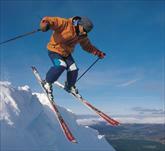 Cairngorm Mountain is situated around nine miles from Aviemore, at the heart of the UK's newest National Park. Getting to Cairngorm mountain is fast and easy, especialy with todays vastly improved transport network in the Highlands. For more information on winter sports please visit www.cairngormmountain.com or http://ski.visitscotland.com by cilcking on the addresses or via our links page.